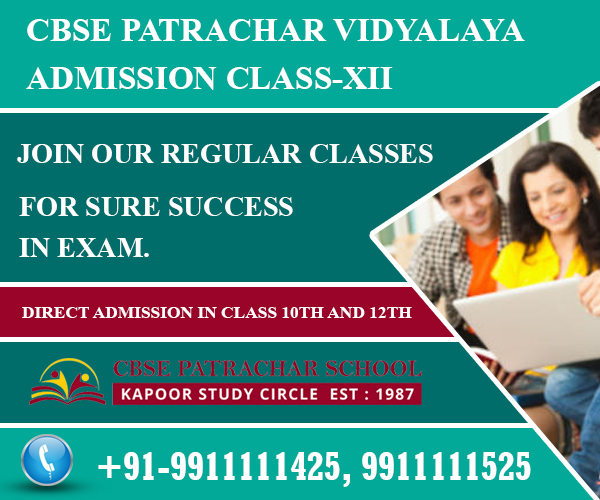 12th CLASS CBSE Patrachar Vidyalaya Admission form 2019. 12th Class CBSE Patrachar Vidyalaya Admission – COMPLETE YOUR SCHOOL EDUCATION COMFORTABLY WITH OUR HELP! CBSE Patrachar Vidyalaya Admission class 12th forms for the students who wants to appear in CBSE Board exam for class 12th for 2019-20 in Delhi are going to start very soon. 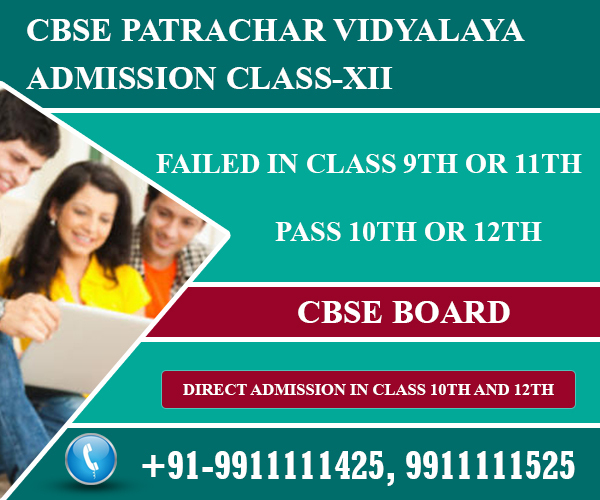 Contact us for more information about PATRACHAR VIDYALAYA , CBSE Patrachar and Patrachar vidyalaya shalimar Bagh 12th admission form formalities before the admission form last date.The most disappointing failure in studies is failing in a regular government or private school’s class 11th final exam. If you are fail IN CLASS 11th, you are denied admission in 12th class. 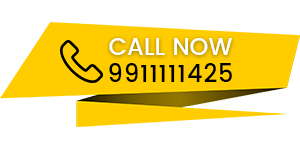 Contact us for Patrachar Vidyalaya, CBSE Patrachar and Also for Patrachar Vidyalaya Shalimar Bagh 12th Admission form 2019. Passing class 12th board exam is the dream of every student, the reason behind is this because it’s a gateway for bright future of a student, by pursuing the graduation studies in colleges and universities. If you are a student who was unable to qualify school exams for class 11th and do not want to repeat the same class than Patrachar Vidyalaya Admission Class 12th is the best choice available for you. These unfortunate students are prohibited continuing their studies in 12th class in all the regular schooling channels. But they need not lose heart. Here is a way out for them to get direct admission to 12th class in CBSE board course conducted by Patrachar Vidyalaya. They can join, study and get pass with the help of CBSE PATRACHAR SCHOOL with good marks. More About Patrachar Vidyalaya, CBSE Patrachar, Patrachar Vidyalaya Shalimar Bagh Class 12th Admission. This is an educational organization working part of Delhi government. First of all The main aim of this institution is to open up education opportunities up to school final level to those failed students and school-drop outs. Finally By giving one more chance to these members of the unlucky student community, youngsters will be able to achieve their long-cherished dreams of brightening up their individual careers. In order to achieve this aim, Patrachar Vidyalaya follows Central Board of Secondary Education (CBSE) syllabus, for both 10th and 12th standard. CBSE education is meritorious by its world-standard quality of the study and is recognized in all the Indian states for college and university admissions. How Patrachar school Helps to Achieve 12th Class Patrachar Vidyalaya, CBSE Patrachar admission? CBSE PATRACHAR SCHOOL is in the field of education for the last 25 years in Delhi. We help aspiring students to get direct admission to Patrachar Vidyalaya CBSE Board, in 10th and 12th class. The unwary students are well-guided with regard to the admission procedures and formalities. As a result they find a complete package for admission and classes under one roof. The CBSE syllabus for 12th class contains three streams namely – arts (humanities subjects), commerce and science. Because 12th class education is the base for further studies therefore graduation in arts, commerce and science subjects, students get preliminary exposure to these subjects in this class. Right from the day of approaching Cbse Patrachar school, First of all it takes the responsibility of the student getting admitted in Patrachar Vidyalaya CBSE course and than completing the formalities, and trained well in the respective study-subjects. For this purpose, the professional teaching faculty uses well-prepared study materials; guides and illustrations; modern facilities of slides and projectors and individual attention to each student. As a result a complete concept is clear to student. The vast experience of the teaching faculty is used in understanding the difficulty of the failed students. This help them in grasping required knowledge and painstakingly sharpening their skills. a) Those students (Male & Female) who have passed or failed in class XI( Science/ Commerce/Arts) or its equivalent examination from recognized Board/University after passing class X examination on the basis of original SLC duly countersigned by Education Officer/Competent Authority. Those students (Male & Female) may seek admission directly to class XII having at-least one year gap after passing class X exam from recognized Board on the basis of original SLC duly countersigned by Education Officer/Competent Authority. (b) Students seeking admission in class XII on the basis of duplicate copy of SLC. It must be duly countersigned by the Education Officer/Competent authority. Also furnish AFFIDAVIT in the prescribed format annexed with the prospectus. h) Also Affidavit for residence proof in Delhi issued by SDM/lst Class Magistrate is an address proof.